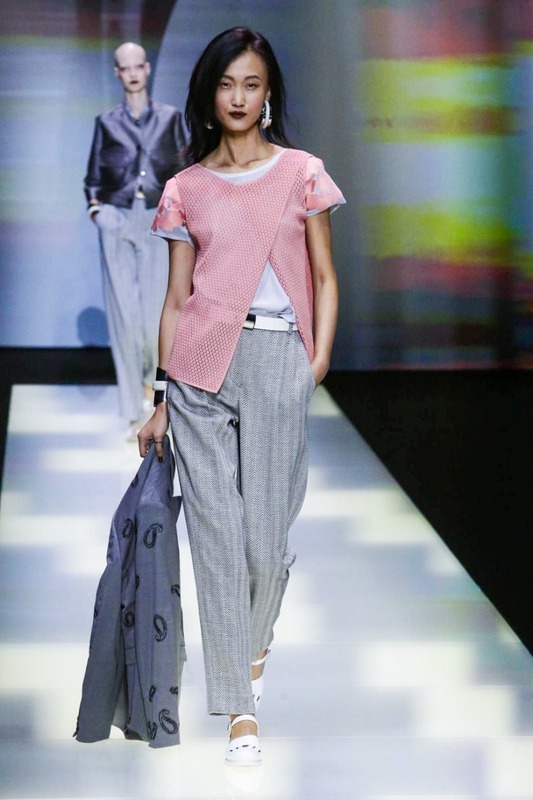 Emporio Armani Spring/Summer 2016 ready-to-wear collection – Milan Fashion Week. 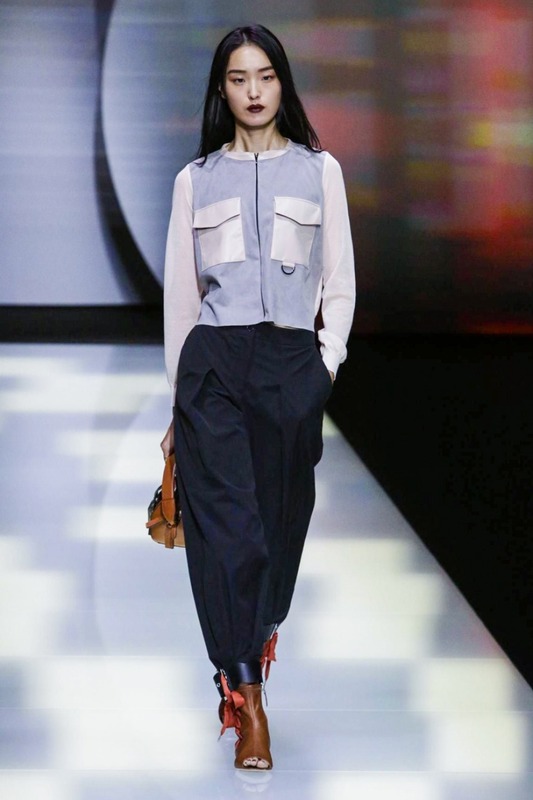 Emporio Armani Spring/Summer 2016 ready-to-wear collection was one of most attented Shows in Milan Fashion Week. 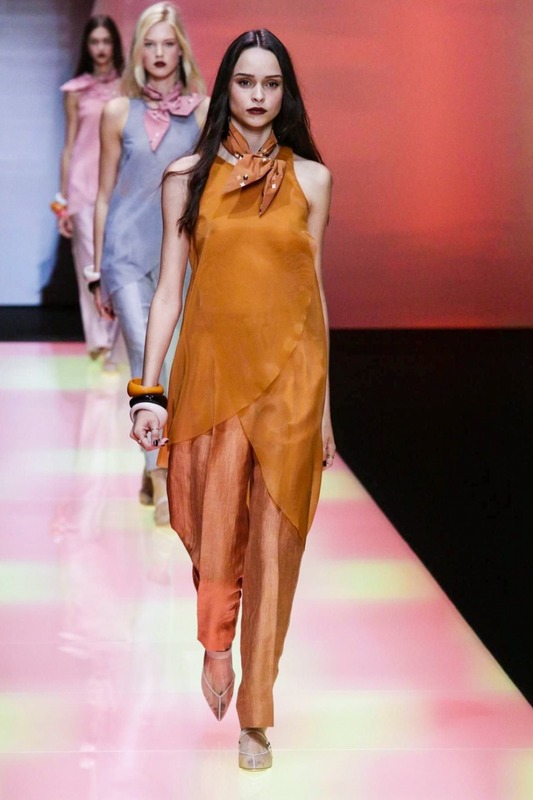 Mr. Giorgio Armani is one of the most succesful designers which we know. 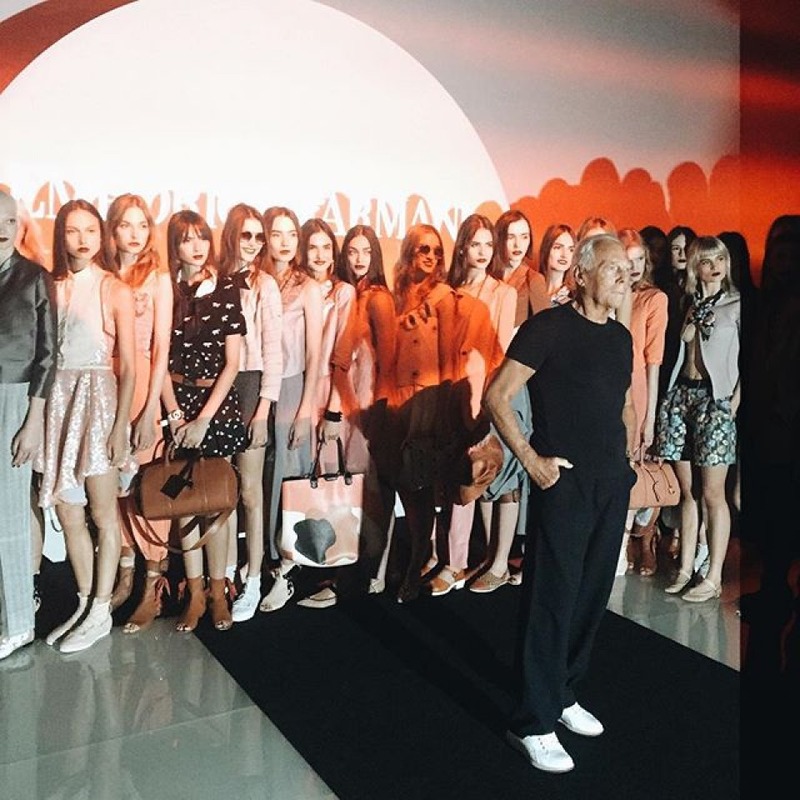 Iconic italian designer is a fashion expert who expanded his empire to include Hotels and restuarants. 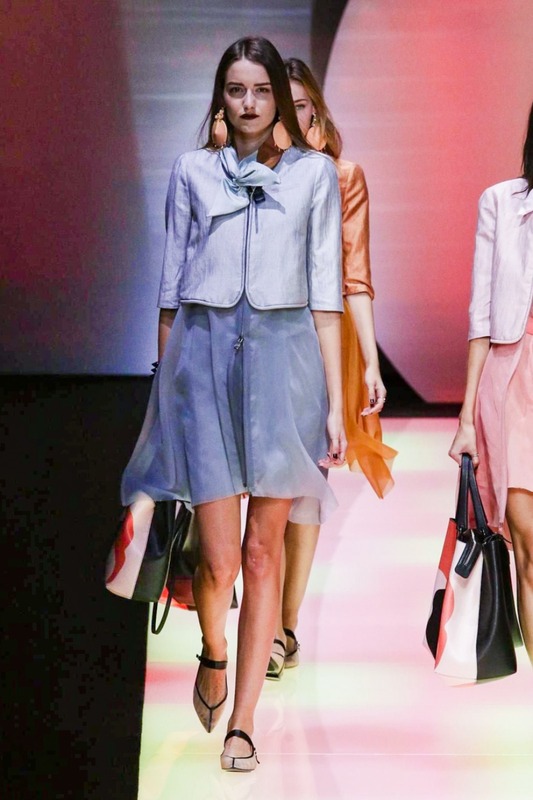 Armani is viewed as one of the most talentedfashion designers in the world. Re Giorgio. The Show we had been assisted today id genial. 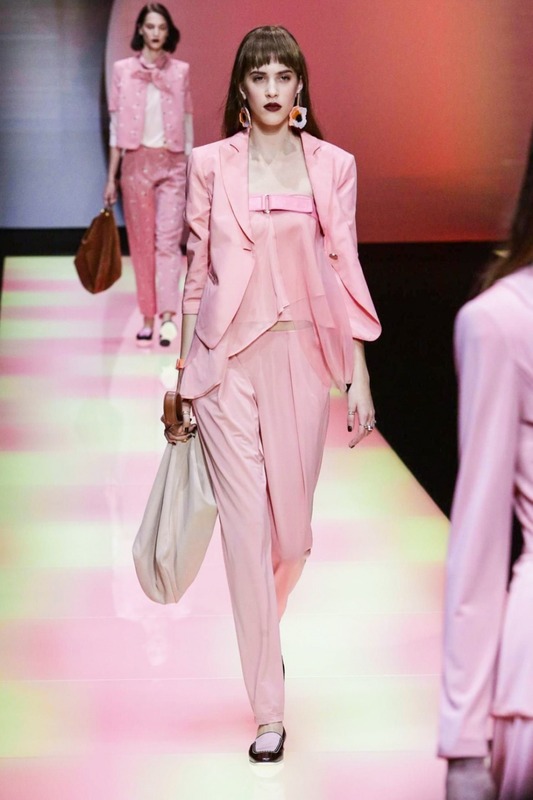 Armani make it again. 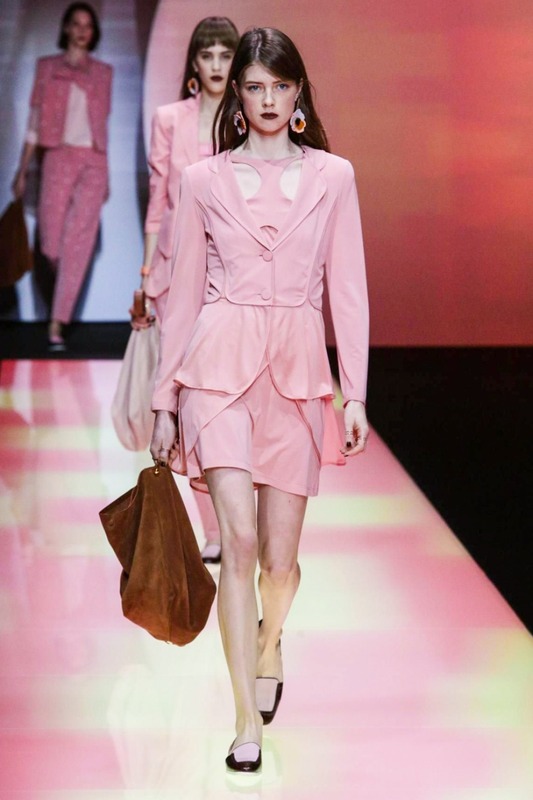 His collection is the best one and we are talking about second line of Armani Fashion Brand. 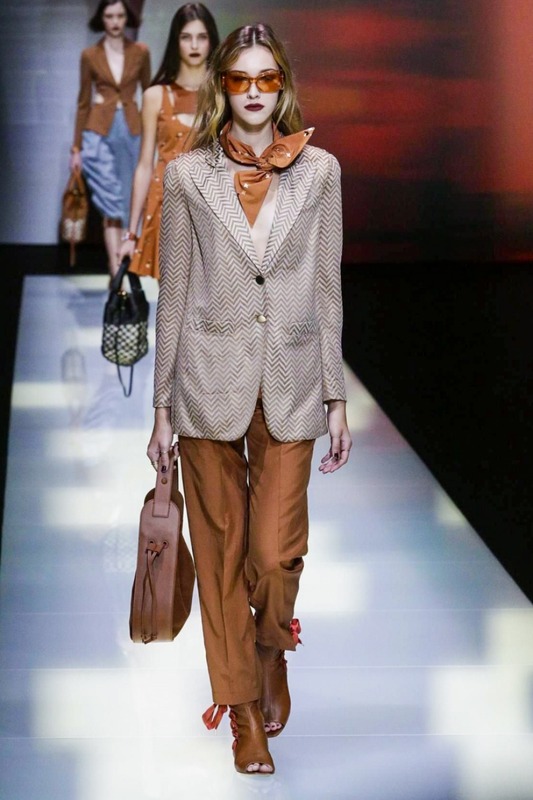 What will we see on the catwalk when Mr.Armani will present us Giorgio Armani Spring/Summer 2016 ? 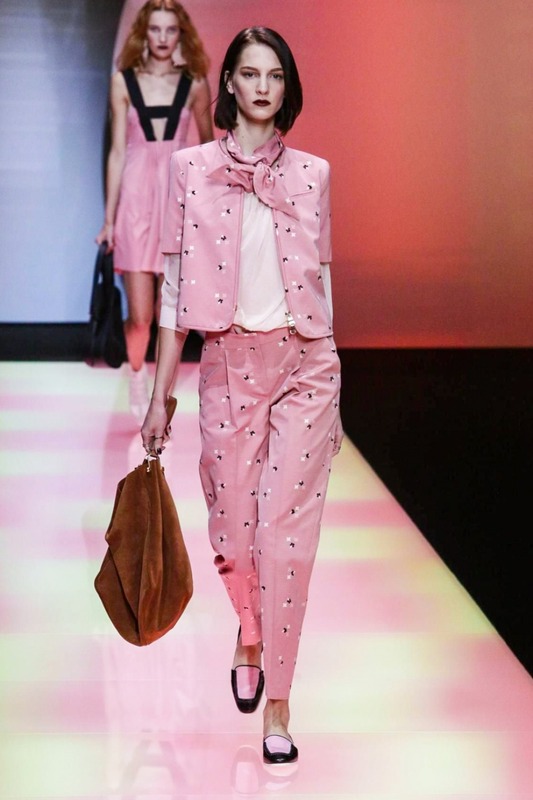 Emporio Armani collection showes today more younger and has a lot of elegant-chic-casual offering fur Emprio Armani customers. 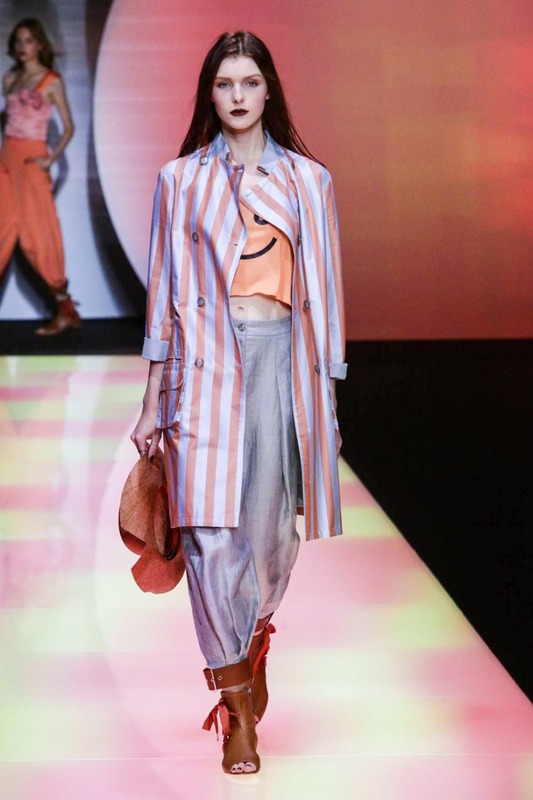 Today Armani makes a lot of womens happy, the new-renew tailored trousers , the short shorts and Shorts tailored in bermuda styles , it will be the Must Have of summer season but not only about the trousers and short, the colours were pretty summer from pastel pink, coral and tangerine, blue -steel blue. There were also some black and floral printed pieces. 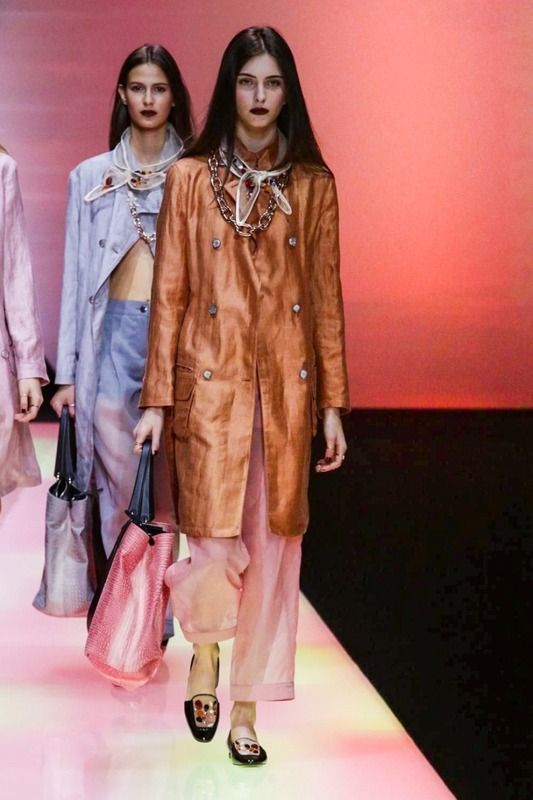 The show notes opened with a poetic ode to the ease of tying a neck scarf and the styling trick itself translated into the collection as open necklines, a corsage or scarf tied just so, or you could spy wrists wrapped up in them later. 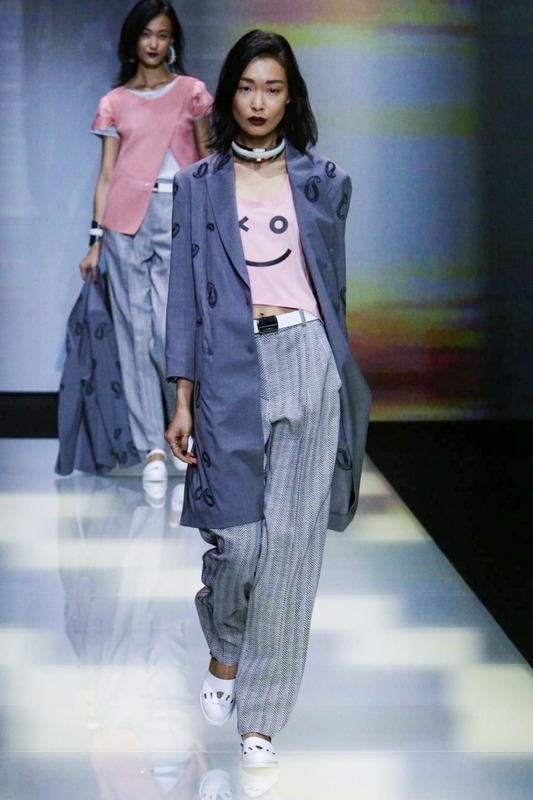 A series of wafting, light dresses at the end would look most at home wandering along a beach, that said gentle breeze described again in the show notes, the ideal accompaniment. 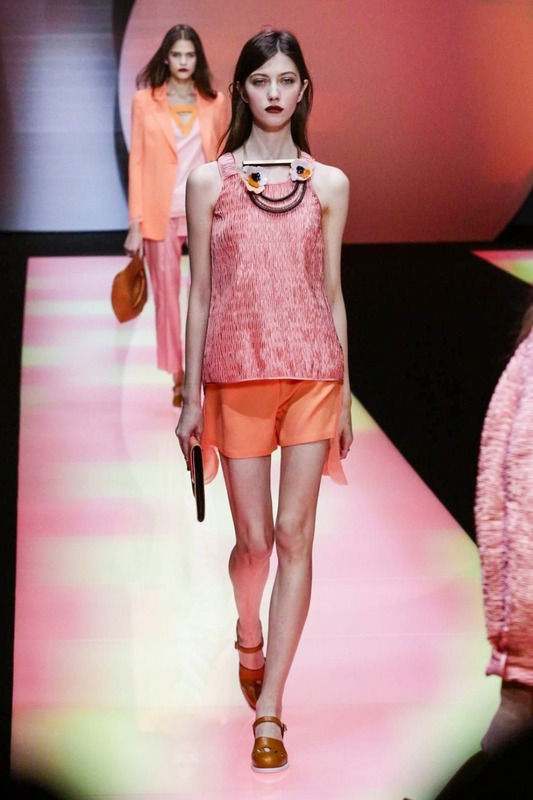 That is what we call Made in Italy , that is the collection which a lot of womans want and will wear next summer.